A Professional Private Photo Shoot is the best way to collect special travel memories forever. We cover all the most amazing destination in Italy, from north to south, with Private Photo Shoot, that is a perfect experience for honeymoon, engagement, proposal, anniversary, birthday or other special celebration, family trip and reunion. Our local professional photographer are able to give you insider tips and to share with you the real soul of the place our visit. This is a unique souvenir of your unforgettable vacation in Italy! 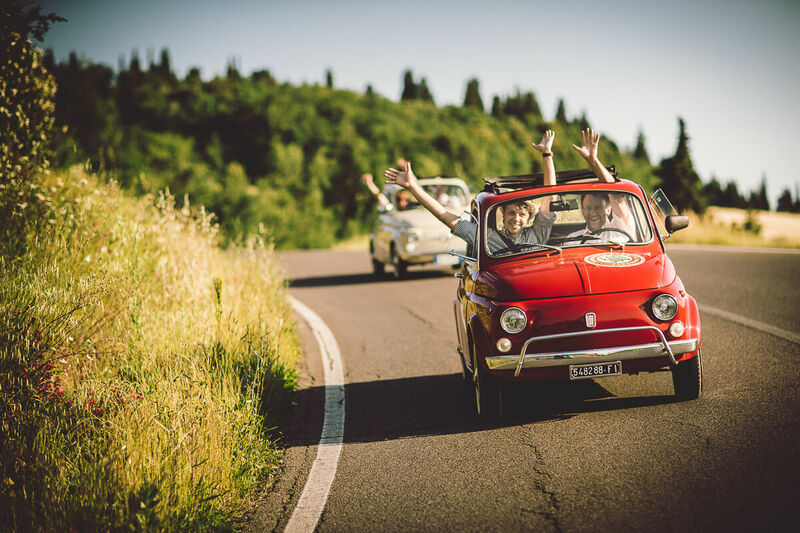 Florence is perfect for a couple trip and for a romantic getaways, we can celebrate together your wedding proposal and choose a perfect setting for your proposal! Our professional photographer will surprise you with amazing pictures, we can decide to do a route together and don’t forget to listen to the tips of the local photographer, who knows the secrets of Florence and its hidden corners. Enjoy your private photo shooting with a professional local photographer who will capture the most precious moments of this tour in the magnificent city while admiring the main spots of the Renaissance: Ponte Vecchio, Palazzo Vecchio, Piazza della Signoria, Boboli Gardens, Duomo Santa Maria del Fiore, Piazzale Michelangelo! It is a guarantee that all the best emotions and memories will be ready to be shared with your friends and family. If you are in Tuscany for holidays, you are in the right place for a private photo shoot. Imagine che gentle rolling hills of the Tuscan countryside, or an amazing vineyards, enjoy the atmosphere and the charme, while drink a good glass of wine and living this dream with the assistance of professional photographer who can catch this everlasting moment by an original photo shoot. Collect amazing photos is easy and could become a special experience to share with your beloved ones. We offer you local and professional Tuscany photographers. Our professionals will select the best photographs and will present them in a personalized photo book, unique souvenir of your time win Tuscany. Live the unique atmosphere of the dramatic Italian Riviera coastline where you can discover small villages on the hills. Places made of pastel colors buildings set in original squares and alleys. The perfect frame for a unique photo shoot. A vacation between art, sun and beaches that remember forever thanks to your photo shoot. We can share the passion of a professional vacation photographer in different location of the Italian Riviera: Portofino, Cinque Terre, Rapallo and more. Our Venice photographers are local and they know all the canals and bridges of the city, they can show you where to stand to get the best picture of your trip. Tourists often take pictures of the main spots like S.Marco square or Rialto bridge, beautiful but always crowded. By the help of Venice photographers you can take amazing pictures discovering different magic places of the city. We can combine a romantic private gondola ride and private photo shoot for a truly unique experience. A coastal landscapes really famous for the beautiful limoncello and beaches. Amalfi and its surroundings are well known all over the world. Coastal villages are rare pearls on the cliffs and loved by several poets, artists and travelers. Amalfi, Positano, Ravello are the right place for a wedding proposal or for your honeymoon, because every single corner is a romantic place, where you can enjoy a special and romantic atmosphere. Take a moment for yourself grabbing a gelato and stop and relax on the beach, the secret for a perfect holiday is to feel and sense every single moment, and our professional photographer will capture them, you can hold your precious memories forever. Amalfi is the right place where you can mix nature and local art, because you can spend your time hanging around in Positano for example, doing some shopping in these amazing shops where you can buy some bottles of Limoncello and other stuff. What better opportunity to surprise your beloved one than a secret photoshoot of your proposal? Our wedding proposal photographer will capture this wonderful moment and we will create unforgettable memories that you will both cherish forever. We will be at your side at your choice of location and preparation of special details and will photograph the expression of joy and amazement of your loved one discretely. The Marriage Proposal is available all over Italy. We can arrange the private photoshoot allover Italy from North to South.